A rehab can give you your best chance of breaking free of addiction so you can go on to build a better life. The thing to keep in mind though is that these facilities differ in what they are able to offer you. Different approaches work for different people, so the best rehab will be the one that offers what you need. Choosing the wrong facility could mean a wasted opportunity, so it is important to put some thought into the choice. Below are 10 tips for choosing an effective inpatient rehab programme. If you meet the criteria for NHS funded rehab, it will save you money, but it will also limit your choice. There is usually a waiting list for places as well, so by the time a bed in a rehab becomes available you could have lost your motivation to quit. The benefit of choosing a private facility is you can find a rehab right away, as well as getting to choose the programme that is most suited to your precise requirements. You can also expect better resources and a better client to therapist relationship in a private rehab. 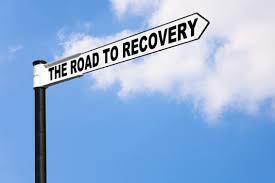 It is best to think of private rehab as a type of investment that can quickly pay dividends. All rehabs programmes are based upon an underlying philosophy. The most popular recovery philosophy at the moment is the 12-steps and so many rehabs in the UK are based on this spiritual programme. If the word ‘spiritualty’ makes you a little uneasy, you might want to choose a different type of programme – for example, cognitive-based therapy approaches are based on a philosophy that is evidence-based and committed to the latest discoveries from science. If you have a world outlook that is more grounded in nature and mind, you could try a holistic rehab. If the rehab has a poor success rate then this is usually a sign that there is something seriously wrong with the programme. Of course, just because an approach does not work for the majority of people does not necessarily mean it will not work for you. It is probably best to not base your decision solely on the success rate of the rehab, but it is definitely something worth considering. It is now widely accepted in the recovery community that the ‘one size fits all’ approach to recovery is ineffective. It would be more convenient for a facility to just provide one programme that everyone follows, but this would not give you the best chance at recovery. What you need is individualised care. This is where you are fully assessed when you enter the facility, and the programme you follow is then created around your exact needs rather than the needs of the rehab. If a rehab is not prepared to treat you as an individual, you will probably be better off going somewhere else. 5. Does the Facility Offer a Suitable Level of Comfort? Your level of comfort in rehab is important because if you do not feel at ease, you will be too distracted to get the most out of what is on offer. It is worth paying extra for a luxury facility if it increases your chances of success. Most rehabs will take your comfort seriously, but there is a great deal of variation on the level of comfort provided; some facilities are like 5-star resorts, while other treatment centres are very basic. Even if you go to the best rehab in the world, it might be a huge waste unless you have a suitable aftercare programme. Staying sober in an inpatient centre is relatively easy because you are in a protected environment, but it can be a huge shock to return to the usual stresses and temptations. An aftercare programme is vital as it provides you with the support you need during this tricky time. If the rehab does not seem to take your aftercare needs seriously, you should look for treatment elsewhere. Boredom can be a huge danger for those who are newly sober. The problem is that if you have been addicted to alcohol or drugs for a long time, you may have no idea about what to do with your spare time – you might not even remember what you like anymore. If a rehab offers a full range of activities, it means that you would be able to try different things; therefore, it is far more likely that you will find something you continue to engage in once you return home. Activities in rehab can be just as important as therapy because having fun is what recovery is all about. Addiction does tend to weaken your sense of intuition, but you can still get a sense of something being right or wrong for you. If you visit a facility and it just feels wrong, you might be better off trying somewhere else. Of course, you have to make sure that this is your intuition sending you this message and not some ambivalence or resistance towards recovery. Some rehabs have a very high client to therapist ratio, which means that each client does not get to spend much time with this professional. This can be a problem because you will need one-to-one therapy in order to dig down to the driving force behind your addiction. If you are only going to get to see the therapist alone once a week, this will probably not be enough. Group sessions with a therapist are definitely helpful, but you also need one-to-one contact as well. The internet is a wonderful resource for finding out information. If the rehab you are considering is popular, you will probably be able to find an online review by somebody who has actually been there. This type of information can be extremely valuable, but it is important to also take it with a pinch of salt – the person providing the review will be biased one way or the other. You need to be especially cautious around reviews that are overly positive or overly negative.